Grown up in Tahiti, the ocean has always been a huge part of his life. As a kid, he spent most of his weekends on the lagoon where he acquired the skills and confidence. His life, here in Tahiti – Punaauia, is far from boring. Being such a people person, he quickly figured out that taking people around the beautiful Tahiti Islands and teaching them the history of this amazing place, was much more fulfilling than fishing the deep blue sea. It is his goal to give his guest the best day of their vacation and memories that will last a lifetime. He hold safety and responsibility at the top of his priorities, at the same time fun, laughter, and great music as icing on the cake. 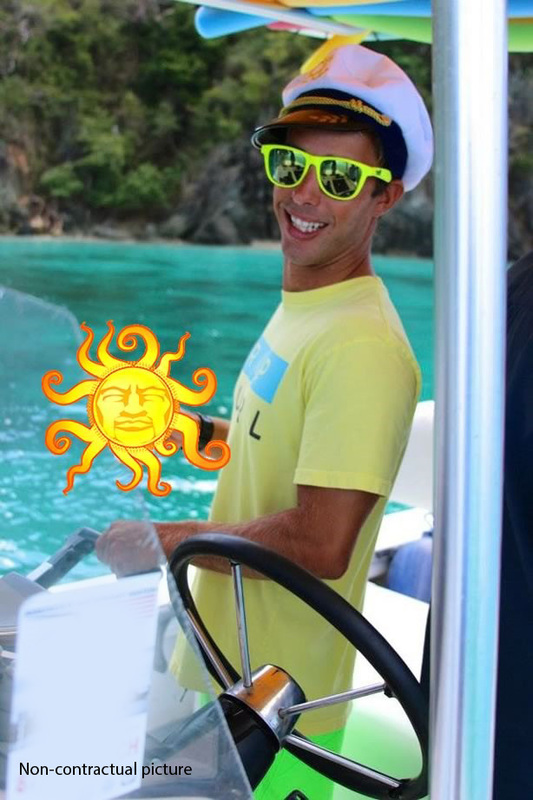 Come join him and Cruzing with our superior boat for one of the best days of your life!